We’re continuing with our Christmas Gift Guide series, and this time let us offer you some presents that you can get for a fellow camper. If you know such a person and don’t know what to get – or if you’re an avid camper or survivalist planning on treating yourself with something special this holiday season, here are some things you should definitely consider. It seems that we all know what things are necessary for every camper, like, well, a tent, a flashlight and so on – but here you’ll find some not-so-ordinary gifts that will blow your mind. You may have never thought of them but trust us, you’ll realize they are a must-have for every camper. 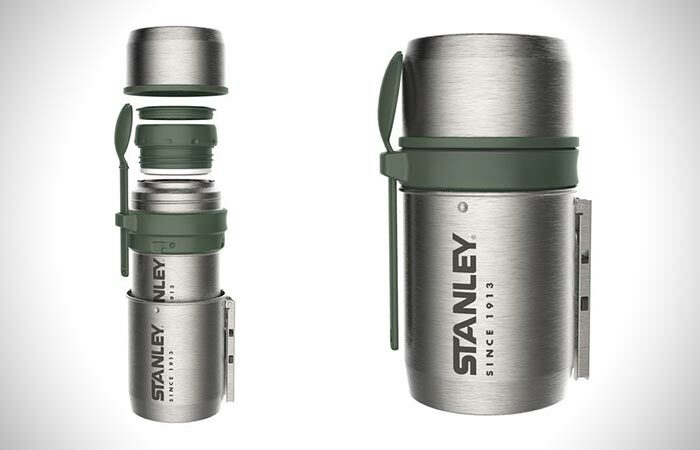 So, without further due, take a look at our Christmas Gift Guide for Camping and Survival. 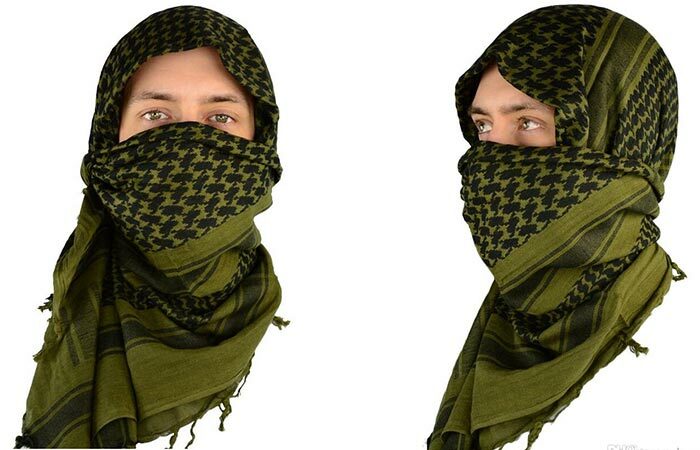 Great for camouflage, as well as keeping you warm: Shemagh Tactical Scarf. If you’re a fan of survival trips and camouflages, this is something you have to have. A shemagh, also known as keffiyeh or kufiya, is a traditional Arab headdress made from a square piece of cotton cloth and it has multiple purposes. This scarf is perfect for all weather conditions – it will protect your head and neck from both strong sunlight and wild winds. It is made of 100% cotton and has a stitched pattern, instead of a printed one. In times of need, you can also use it as a neck warmer or a towel. It’s available in various colors, so you can pick one that suits you best. No matches? No worries! Flint Laces will help you light the fire. Almost all footwear comes with laces, but these are pretty special and gift-worthy. If your dear friend is a hiker or likes spending time in the wilderness, these will come in handy. Besides being regular hiking boot laces, these are also all the tools needed to start a fire when there are no matches around. These flint laces are a great accessory if you like being prepared for every situation. They come with Ferro Rod Tips which helps make hot sparks and make a fire in any climatic condition. Bring along a real meal to your camping trip: Mountain Vacuum Food System will allow you to do just that. When you’re a student going on a field trip, it’s fine to bring sandwiches with you, but as an adult, you probably want to eat a real meal when you go camping. That’s why this is such a great Christmas present- it allows you to put your food into the Mountain Vacuum Food System and eat it hot as if it was taken off the stove a couple of moments ago even after thirteen hours. The system comes with a pot, insulated food jar, a lid and a spork, so the person you give this great gift to will have everything they need to eat a great home-cooked meal in the wilderness. Pan fry your food, get warm and even charge your phone with BioLite Stove. There is no longer a need to bring sandwiches or dried foods to camping trips. The Biolite CampStove allows you to pan fry fresh food you bring to the trip, get warm and comfortable besides the fire and even charge your phone. It only weighs around 2lbs and it generates its own electric power by recycling energy and converting the heat of the fire which would otherwise be wasted. And you need nothing but flammable materials you find outdoors to get this stove to work. 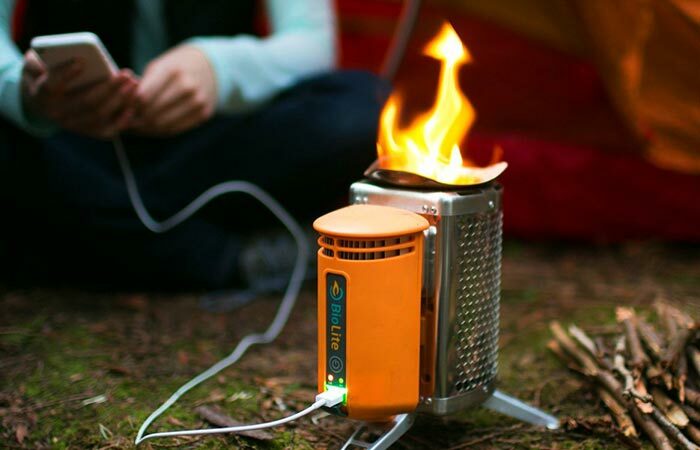 The BioLite Stove uses all the energy effectively, plus it doesn’t emanate any smoke. It can make a great Christmas present (if you don’t fall in love with it and keep it for yourself). No more wet matches when you have Exotac MATCHAP. How many times have you brought matches to your camping trip and just when you were about to start the fire you realized that they are wet? This could potentially ruin your entire camping experience if you don’t know how to light a fire using materials you find outside. Luckily, this doesn’t need to happen anymore. The Exotac MATCHCAP is a waterproof match case which can hold all sorts of matches up to three inches in length. It will keep your matches safe, dry, and ready to use when you need them. 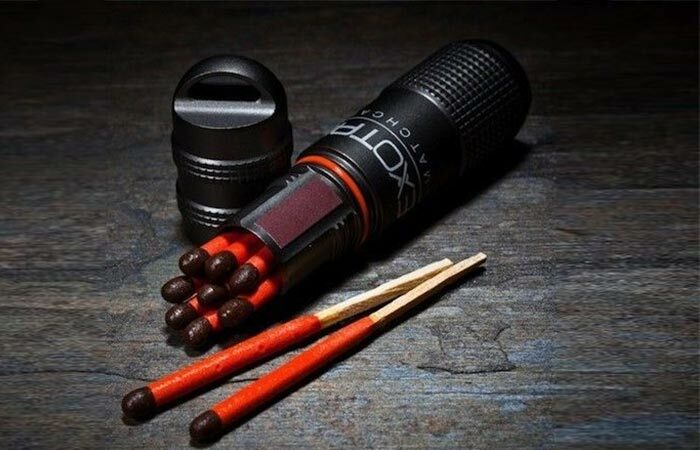 The case also comes with an O-ring which keeps the matches as well as the red phosphorus striker dry. Make sure you’re drinking bacteria-free water wherever you go with the proven quality Lifestraw Water Filter. 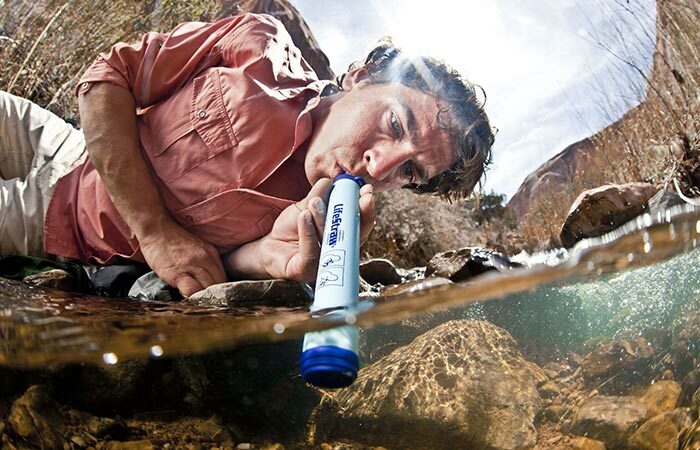 Lifestraw Water Filter can save your life when you’re out in the wilderness without any bottled water left to drink. It has been used by millions of people around the world, and it removes 99.99 waterborne bacteria and parasites. This small straw can filter up to 1000 liters of water, which you can drink straight from a river or a stream. Although it does not remove salt, chemicals or viruses from the water, it does make drinking water from various sources much safer. Once you’re finished drinking water, the filter should be purged by blowing air into it and leaving it to dry. If some of your friends like spending time exploring nature, this could be the perfect Christmas present. Poler X Airblaster Ninja Suit will keep you warm and moisture-free and well, who doesn’t want a ninja suit? 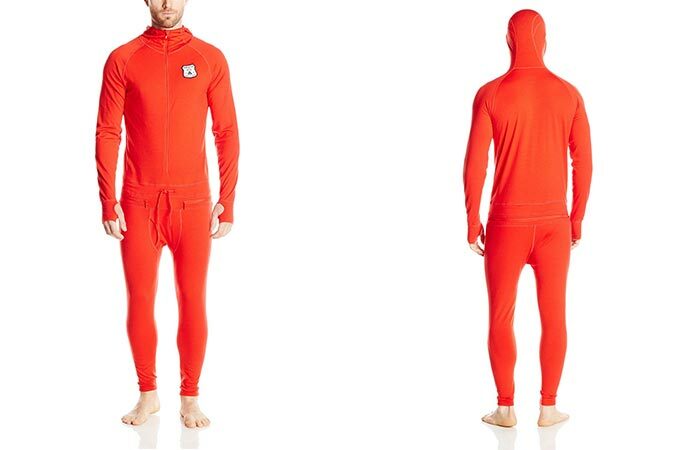 This ninja suit is made of 96 percent Merino wool and 4 percent Lycra, and it’s a one piece base layer which will keep you warm and control moisture without making you sweat. This suit is actually designed in such a way to resist odor and dry really quickly, in order to provide you with the best possible experience in the wilderness. The person you buy this suit for will never have to worry about freezing while mountain climbing or hiking in the winter. Plus, this suit has a 350 degrees waist zip, so going to the toilet has been made much easier. Well, do we need to say anything else besides: Oru Kayak a freakin’ foldable kayak! 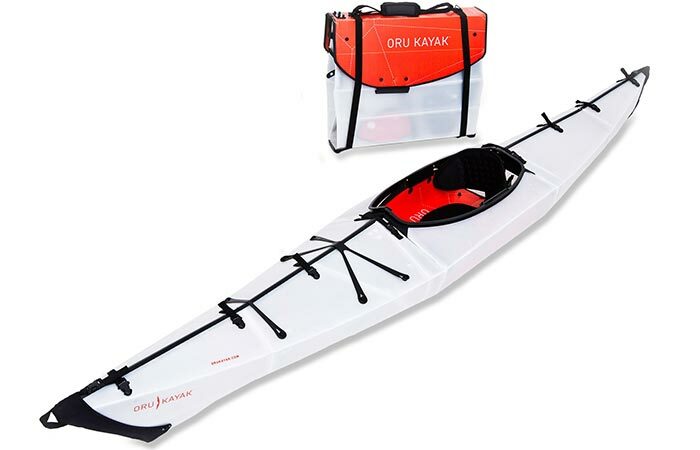 The Oru kayak may be somewhat expensive for a Christmas gift for someone else (unless you really have money and you care about someone that much), so we suggest you treat yourself with this amazing boat. You deserve something nice for Christmas too, don’t you? Weighing 25lbs, this kayak can fold and you can bring it in the truck of your car, and then make it into a boat in a matter of minutes. It goes smoothly on water and it will surely last for years. Moreover, you can adjust the seats and make yourself comfortable while enjoying the ride. 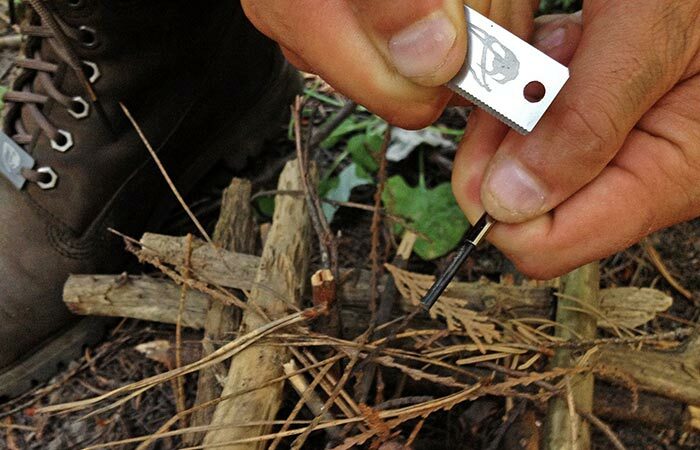 If you’re getting ready for the wild and have no experience, Bushcraft 101 is there for you. If you’re thinking what to buy to your friend who is up for an adventure in the wilderness, but has no experience whatsoever, this book could be a perfect Christmas present. 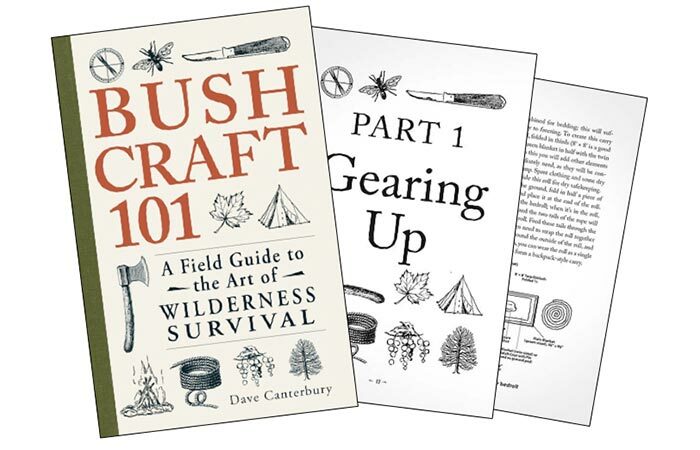 It was written by survivalist expert Dave Canterbury and it provides all the necessary information on how to survive in the wilderness and have a good time too. This book teaches you what tools you need to bring with you, how to use your surrounding in your favor and how to enjoy the wilderness to the fullest. 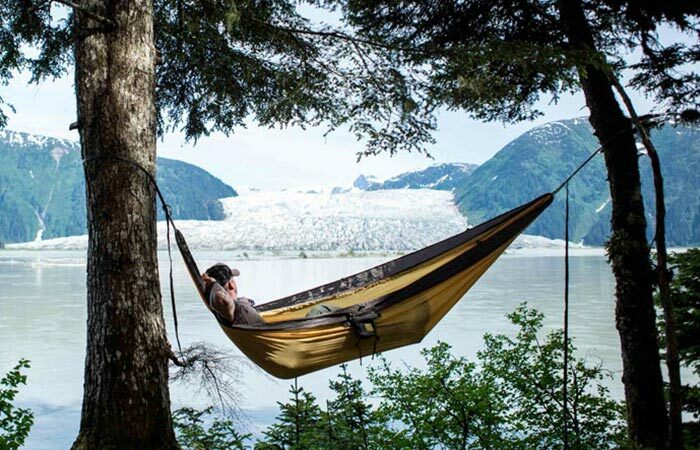 Just lay back and enjoy the view with Roo Hammock. Kammok Roo Hammock is made lighter and softer than other parachute fabrics, and it’s stronger as well. It’s a hammock meant for individuals who like camping, and you can easily carry it wherever you go, as it can be compressed to a very small size and be placed into your adventurer backpack. The fabric this hammock is made of is breathable and it makes your camping experience much more comfortable. With this product, you also get a mosquito net which will protect you from nasty bites during your night. Is there a better present for a camper? No need to carry heavy weapons to camping trips if you have BCX Slingshot. 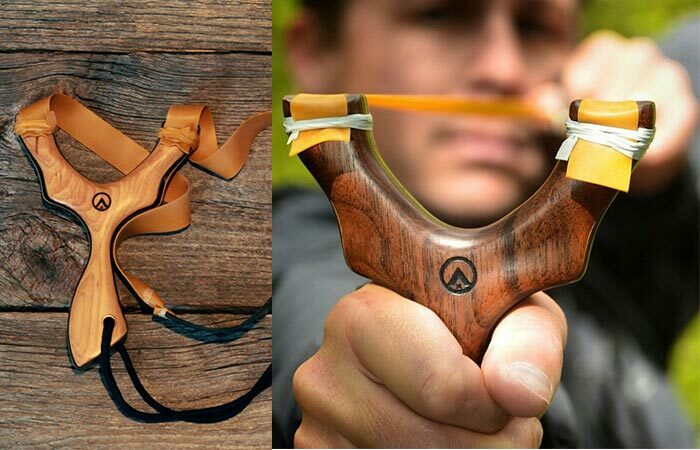 This slingshot, besides being useful when you’re out in the wilderness camping, is also very uniquely designed and it resembles an ax handle. With the powerful BCX slingshot, you can have a weapon with you without having to carry heavy items such as a rifle. This can be a great present for a teenager or a child going on a camping trip, as it provides a sense of security and it can come in handy if there is an animal hazard. However, if you’re going to place it into a child’s hands, first make sure you’ve taught him/her how and when to use it. Well who doesn’t want a spear, seriously? 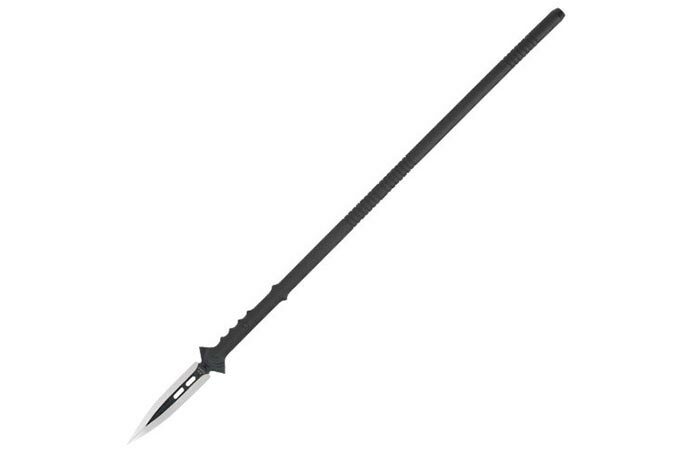 And trust us, United Cutlery M48 Talon Survival Spear is definitely the right choice when it comes to these. This is a very useful survival spear with sheath, made of stainless steel and a nylon handle reinforced with 30-percent fiberglass. This spear can be used with full power and it will surely last for years. It is massive and it can breach and pry whatever comes to your mind. Besides being extremely useful in the wilderness and beautifully crafted, the United Cutlery M45 Talon Survival Spear is indestructible and it can be used by several generations in the family. If you’re considering buying it as a gift for someone, make sure they are ready and able to use such a powerful tool. 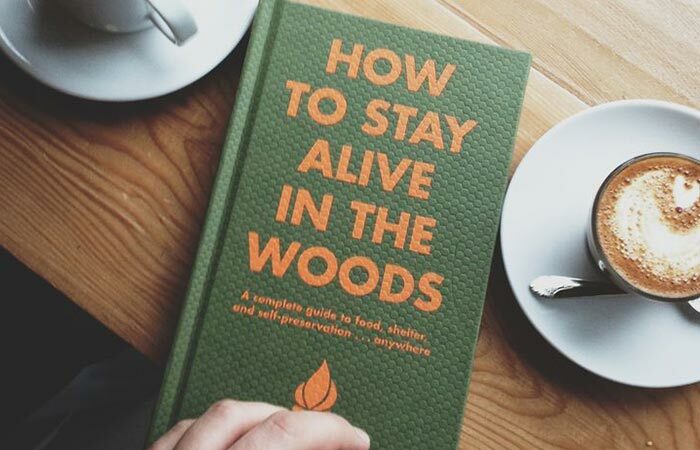 Well, the title “How To Stay Alive In The Woods” pretty much says it all. This is another great gift for an inexperienced adventurer in the woods. It’s a practical book, easy to read and useful for anyone who is considering spending time outdoors and enjoying it as much as possible while staying safe at all times. The book gives instructions on what to bring, what to wear, how to protect yourself, how to look for help if you’re in trouble, etc. If you have a friend who wants to engage in such activities in the woods, maybe the book would be a useful and appreciated gift. 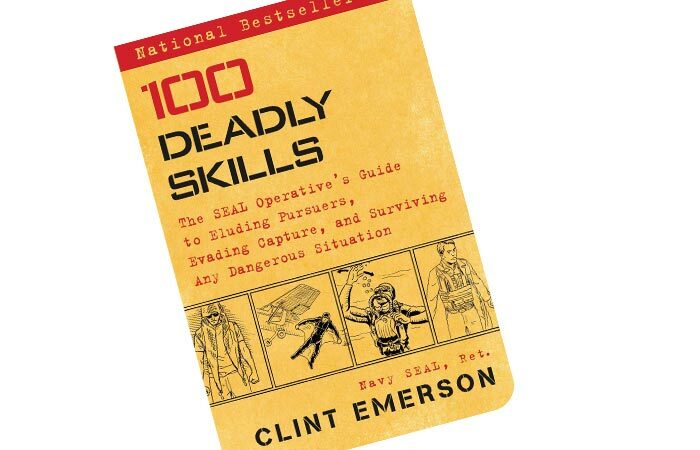 Get pro tips from an ex-navy in 100 Deadly Skills. This survival guide was written by an ex-Navy SEAL, Clint Emerson, and its goal is to prepare you for threatening situations by modifying your mindset to improve the way you perceive the surroundings. Unfortunately, we are getting more and more exposed to aggression and conflicts every day. If you are unprepared, you will not know what to do in such “sticky” situations and you are very likely to “freeze up”. This book explains in detail all the procedures you need to conduct when you’re in the face of danger and all instructions are accompanied by illustrations. Get 100 Deadly Skills and become prepared for anything, anytime. Sangean MMR-88 Survival and Emergency Radio is a must-have if you’re determined to be able to communicate and stay informed wherever you go. This emergency radio from Sangean has special features that make it a great tool for surviving and staying informed even in extreme weather conditions. 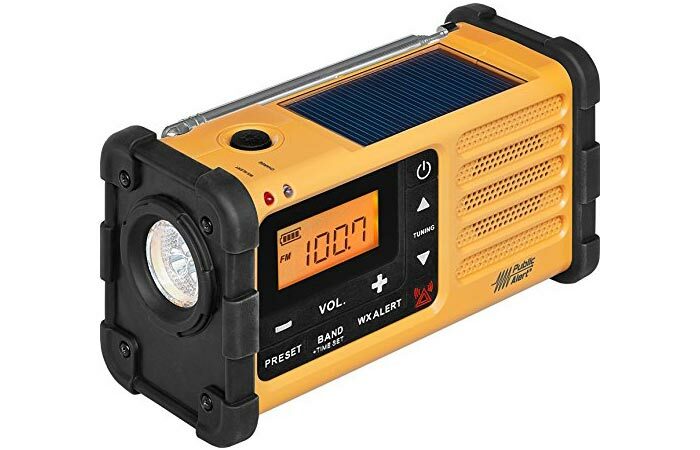 This radio can even be charged by solar power if you don’t have a USB at hand. Sangean MMR-88 Survival and Emergency Radio has a LED Flashlight installed with four working modes: Hi, Low, Blinking, and SOS. You will always be informed about weather warnings. More benefits come in the form of a built-in speaker, a clock, and an emergency buzzer. The battery is rechargeable, and the radio has a stereo headphone output. Not to mention, it is compatible with media player and USB devices. 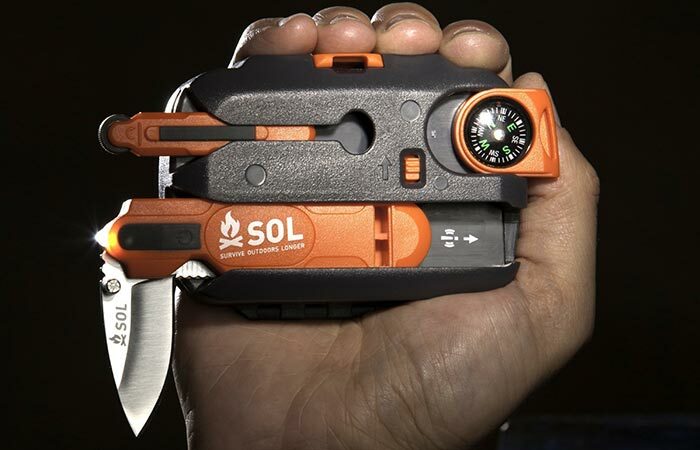 Be prepared for all situations and ready to survive with Sol Origin Survival Tool Kit. If you want to be prepared for all situations at all times, this is the survival kit we would suggest you to purchase. It is compact, very easy to carry around in your pocket, glove compartment or a bag, and it has all the necessary equipment to help you stay alive in extreme situations. You will get a signaling mirror, a fire starter, a compass, and a 3-in-1 combination tool that can work as a knife, a LED lamp and a 100 decibel whistle. In addition to this, inside the case you will find a survival manual, braided nylon cord, a steel wire, a fishing kit and a sewing kit. This is a must-have in case of emergency!